This is a very basic, old school kiwi bach, with no frills. Sleeps 2 families very comfortably. Plenty of parking and a lawn. Quiet location. WiFi included. Across the road from the lake, short walk to swimming at Rainbow Point or just a bit further at Wharewaka, often judged the best swimming spot on Lake Taupo, in my opinion. It has a nice deck to sit on and look at the lake, and also you can see the mountain on a clear day. Modestly appointed. Close to Lions Walk for beautiful walks around Lake Edge. Short drive to 2 Mile Bay Boat jetty. Lots of sun and a nice elevated feeling. Pop into Taupo town, only 10 minutes drive for hot pools, movies, shops and restaurants. Nice and relaxed and great for the kids. Freshly painted exterior. Linen not included, we have a linen hire service available for $15 per person or you are welcome to bring your own. Fantastic location, great views, big outdoor deck area that gets sun all day. Fantastic location, great views, big outdoor deck area that gets sun all day. There is heaps of room in this plus sized house with 5 big bedrooms and two large separate living spaces. This place is super tidy and very well kept. 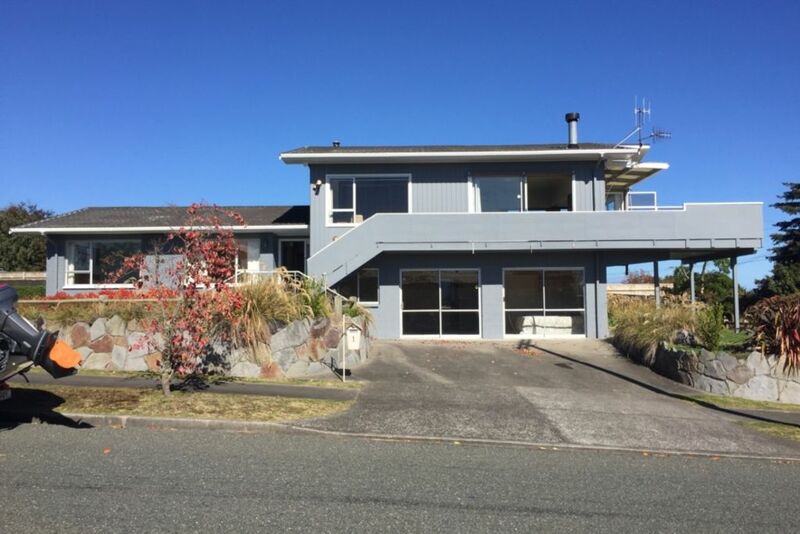 (would be 2 mil in auck with the water views) Very 70s themed, with a modest indoor spa from the same era. Some of the beds were better than others otherwise I would have given 5 stars. even so we will definitely be coming back next year. This house is a basic, no frills bach but it had everything we needed and we really enjoyed the views. We had a wonderful stay. The house and location were just what we wanted. The house and location were just what we wanted. Very much appreciated our dog being welcome too.